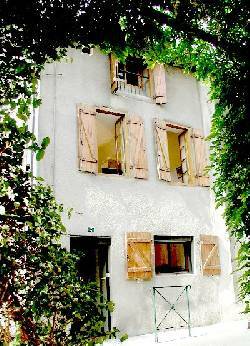 2 bedroomed cottage in market town superbly located for cathar sites and sports holidays. The cottage has an entry hall, kitchen sitting room and WC and washing machine on the ground floor. 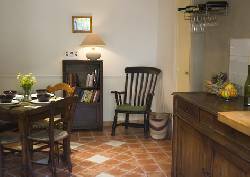 The kitchen is cosy and well equipped to sample the seasonal fruit and vegetables, and Catalan, Corbiere and Ariege artisanal products available locally. 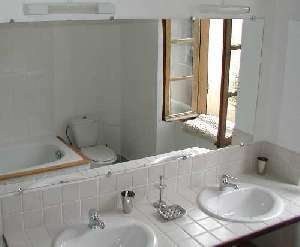 There are two comfortably furnished double bedrooms and two bathrooms on seperate floors with garden views. Bedroom 2 has a double and a single bed, table, chair, fitted wardrobe and chest of drawers and a small collection of books and videos. 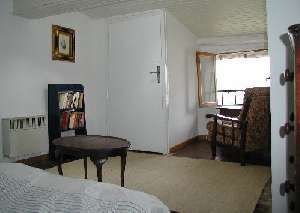 When only Bedroom 1 of the cottage is occupied, bedroom 2 makes a comfortable sitting room. It also makes a very comfortable winter quarters. It has an en suite shower and washroom. Each bedroom is on its own floor and has fan, a mirror and reading lights. A large cot and baby bath are available on request. 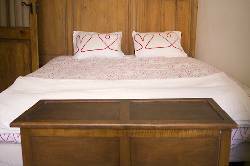 •	Linen is available at 10 Euros per week per guest. •	Electricity is added to rental at cost from October to April. •	All electricity and gas included May to September. 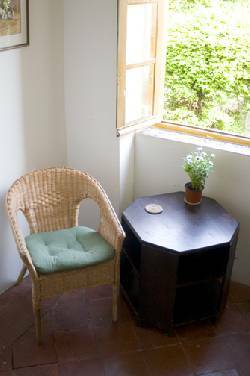 The cottage has been recently refurbished. While retaining many of its original features such as exposed beams, window fastenings, large quarry floor tiles and canal-tile roof, it also offers modern comforts. The owners live nearby and are available if needed. 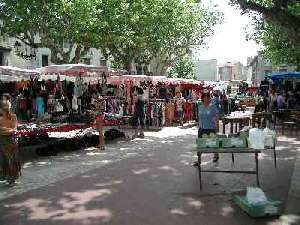 They speak fluent English and decent french.